In 2001, we established our Agricultural Export Business Unit. Our aim was the exportation of hygienically safe food products, fully compatible with global food standards, and with the requirements of the larger supermarkets of Europe & UK, that cater to the needs and wishes of the consumer. At Korra Agri, we strive to achieve prominence among the companies engaged in the same line of business in Egypt. In this effort, we have overcome significant challenges from competing companies with longer experience in the agricultural exporting business. To reach those high standards, it was imperative to adopt the latest scientific techniques of agricultural production and to expose our teams through training courses both nationally and internationally. To this end, we invited international experts and organized scientific expeditions abroad, to enable our teams to acquire the necessary expertise for best agricultural production, thus ensuring high quality export products. To complete our export cycle, internationally approved certificated were necessary for us to qualify for exportation to the largest supermarkets abroad. We applied, and were awarded many of the required certificates. Korra Agri is the first and only company in Egypt, which has the right to directly package products to Tesco, Sainsbury's, Coop, and Iceland. In 2001, our Export Unit began exporting grapes to British and European markets, to be followed shortly by the export of strawberries and peaches in 2005. Ever since, we have given careful attention to the production of the strawberry as it happens to be one of the most promising export crops in Egypt, especially among small scale farmers. Our project then scaled down to the small farmers where we educated them to exchange their random agricultural methods of production with the more modern and profitable ones. As a giving back to our community & a win-win scenario, we initiated the contractual farming project, developing the mind set of small-scale farmers encouraging and training them to adopt safe & modern agriculture methods. In 2005, the contract farming project was launched by bringing in university professors, pesticides companies, and quality control specialists to raise the awareness of small-scale farmers and train them to adopt modern methods of agriculture. In addition, the company provides financial support through importing seedlings from their original source to ensure the best quality possible, while protecting the intellectual property rights of the cultivars owners and the agriculture supplies, the value of which is then deducted from production. The company handles the royalty of each cultivar. During that time, our company has been instrumental in merging small scale farmers together to form four large farms, owned by four large scale farmers and composed of small holdings. The different phases of production were technically supervised and supported by our engineers who were also in full control of the use of pesticides. These four farms were developed under the direct supervision of our company and thus received GLOBALG.A.P. Certification and Tesco Nurture Certification in 2015. In 2012, our company set up packing stations and refrigerators for the strawberry business, in accordance with the best international standards of quality. Korra Agri was able to obtain the necessary licenses to directly package products and supply them to Tesco. Our company was also awarded certifications to provide products to Sainsbury's, Coop, and Iceland. Our company is the only Egyptian company that has received such authorizations, and thus has a greater chance of securing a larger portion of the markets we export to. Korra Agi is always on the look for new developments and enhancements, being on top of the market with the newest updates. We are constantly testing and examining new varieties, that match the market’s taste as well as achieving high yield production and quality. In addition to new learnings and improvements of our agriculture methods and packing with new technologies or techniques, if any, we are currently exploring the idea of maximizing our use from the strawberry season prolonging it by processing the crop by freezing, slicing and/or drying the fruit. 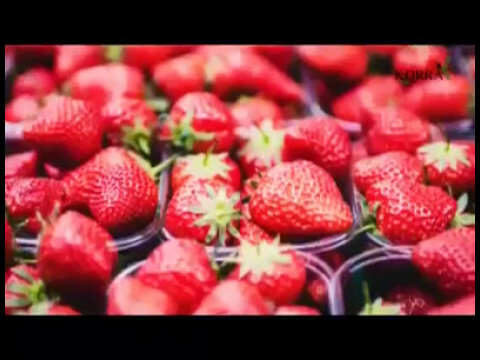 Korra Agri’s export business unit has managed to become one of the three top companies in Egypt in the field of exporting strawberries abroad.